The iderma® Youth Restoring Masque is the most advanced full-coverage facial product, using low-level light therapy (LLLT) to improve your overall complexion and reduce the appearance of uneven skin tone and enlarged pores for skin that looks fresh and more youthful. The iderma® Youth Restoring Masque is a hands-free, pain-free system that is safe for long-term use. Transform your skin with iderma®’s Youth Restoring Masque. The comfortable masque has an adjustable band to fit every size and shape head. 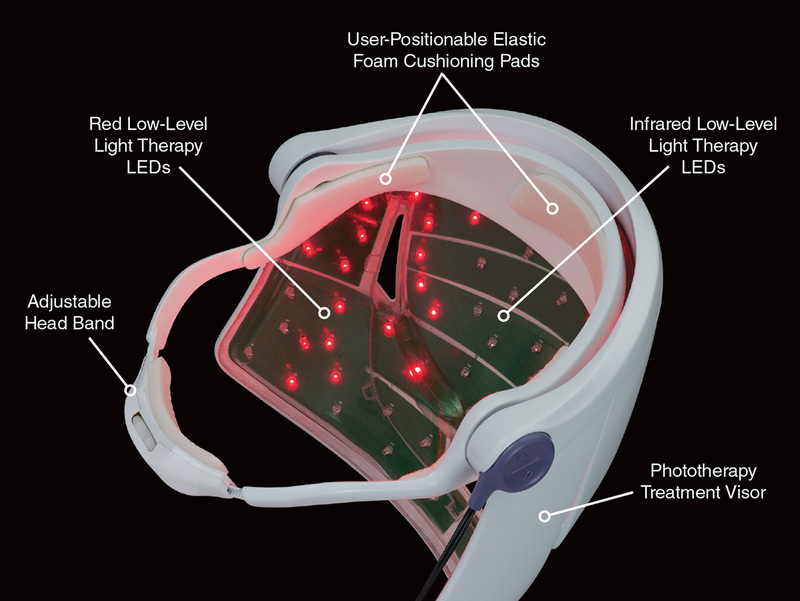 The LED light-treatment masque has 128 LED lights, both narrow- and wide-angle. The full-face visor covers the entire face and includes elastic foam cushioning pads for comfort. 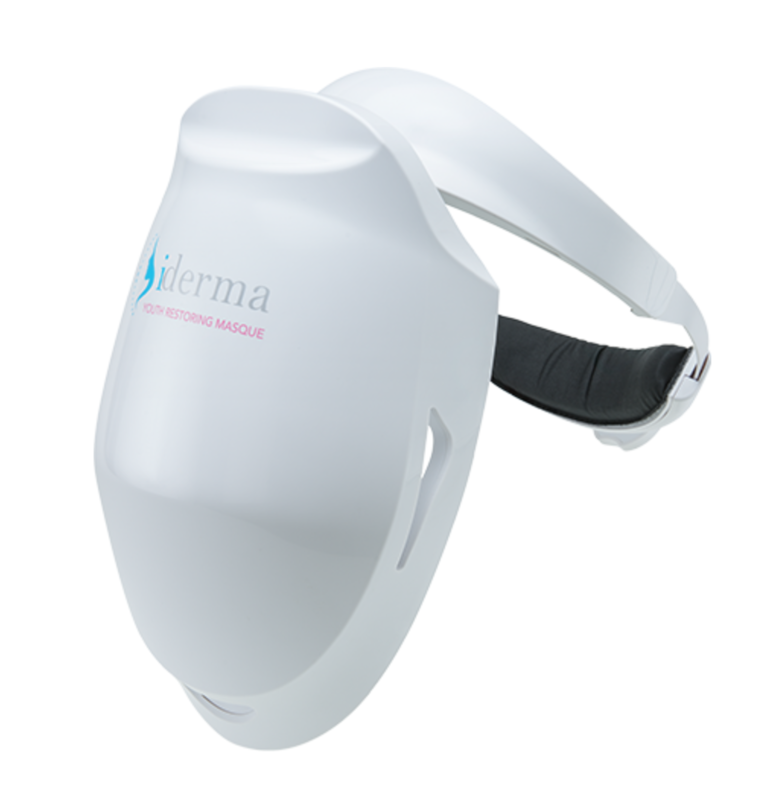 Using technology that was researched and developed by NASA and the National Institute of Health, iderma created an LED light treatment therapy to refresh and rejuvenate your skin. With red and infrared LED lights, the wavelengths penetrate deep into the layers of the skin to stimulate cell growth and collagen production. With three, eight-minute sessions per week, you will see results in the appearance of your skin in as little as four weeks. With LED light treatment, you can expect to see minimized fine lines and wrinkles, smaller crow’s feet, a reduction in redness or inflamed blemishes, improved skin texture and tone, lightened age spots, and reduced pore size.